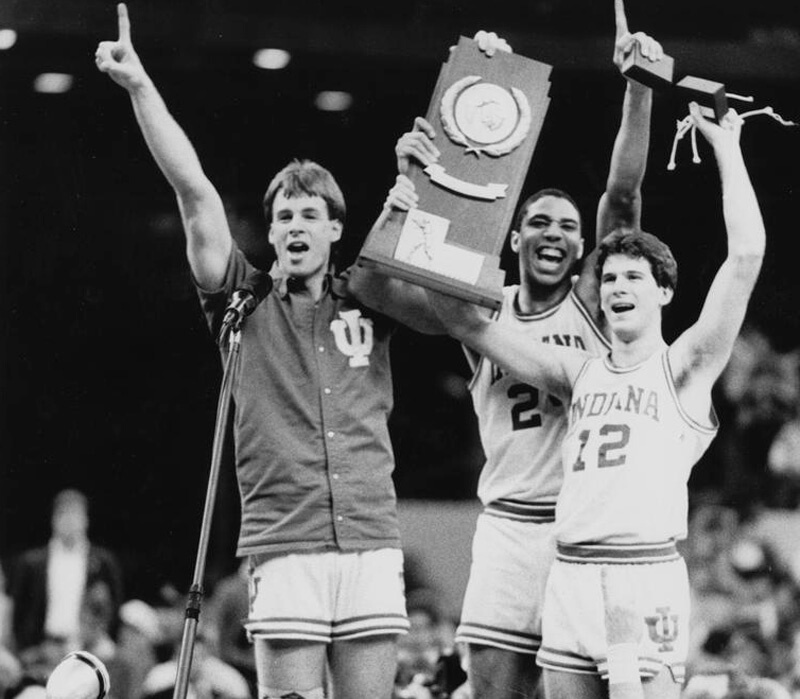 Daryl Thomas, who averaged 15.7 points for Indiana’s 1987 NCAA championship team, died on Wednesday from a heart attack. Thomas was 52. A 6-foot-7 forward who played in 106 games over four seasons in Bloomington, Thomas assisted Keith Smart’s game-winning shot and scored 20 points in IU’s 74-73 national championship win over Syracuse. Thomas is survived by his wife, Marla and three children – Kayla, Kyle and Adam. A native of Westchester, Illinois, Thomas was a captain on both the 1985-86 and 1986-87 Indiana teams. He was an All-Big Ten player as a junior and senior. He signed with Indiana after a decorated prep career under Gene Pingatore at St. Joseph’s High School. Thomas was a McDonald’s All-American, a Parade All-American and a first team all-state player in Illinois. At Indiana, he scored 1,095 points and is 47th on the school’s all-time scoring list. Following his career at IU, Thomas was a sixth round pick by the Sacramento Kings in the 1987 NBA draft. He spent 13 years as a professional in Europe and South America. A 1987 graduate of IU, he was drafted by the Sacramento Kings in the sixth round of the 1987 NBA Draft and played professionally in Europe and South America for 13 years. Thomas had been the head coach at Montini Catholic High School since 2015. I got to play with him a couple of times at the HYPER – he was just a really neat guy. Deepest sympathies to his family and friends. condolences to his family, but for sure he led a full life. and it sure sounds like he lived it the right way. dakich is right, HUGE improvement over the course of his career. entirely different player as a sr than as a fr, especially on offense. truly makes me sad when i think back to his postgame interview, how elated he was to be a national champion. i remember thinking it was the first time i saw that kind of emotion from him, and he just seemed like a cool dude. tremendous respect and gratitude to DT for the fond memories he gave us. it cannot be overstated how much they mean to all of hoosier nation. Truly one of my all time favorite IU players. This is truly sad news. Heart and prayers to his family. Hopefully a good memorial during a game next year for him. RIP DT. Thanks for all the play and your life after, supporting the game. Still say it was a pass to Ricky in that unbelievable comeback over LSU in Regional finals in 87. Best game I ever attended. Where were your seats? I was behind the basket we hit “the shot”. DT was the backbone of that team. Great player and a great person. Prayers for his family and friends. Long after he left IU, Daryl called Coach Knight the best coach of all time and responsible for transforming him into a man. Sad to hear the comment below about him being Knight’s whipping boy, so far from the truth. I watched part of that Syracuse game and I see some similarity between Daryl and Juwan’s game. RIP Daryl. You will be missed. Daryl was a wonderful player, a good man, and made us all proud to be hoosiers! that was an unexpected championship, and one of the finest that I have had the pleasure to witness!